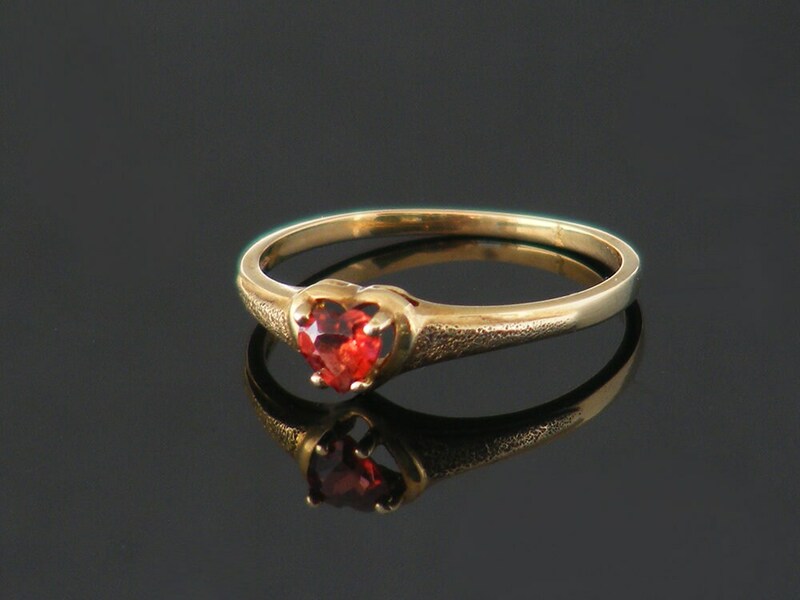 An elegant vintage 10ct yellow gold ring, beautifully made and set with a heart shaped red garnet. Victorian in design and very romantic in its appeal, the perfect love token. The ring is stamped inside an internal recess for 10K gold and a series of other hallmarks, too tiny to read. 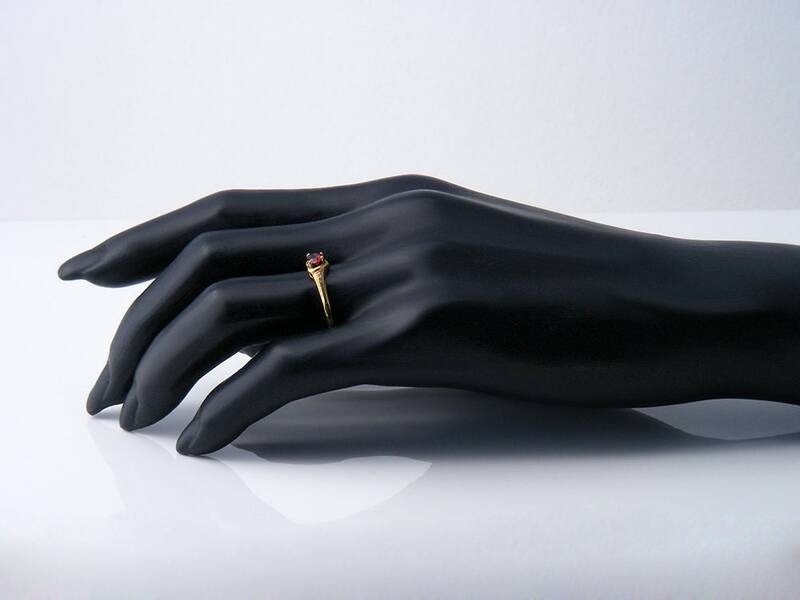 The ring has an attractive textured finish to the shoulders and has an Edwardian style band. The inside diameter of the ring is 16.92mm. The narrowest part of the band measures 1.5mm wide. The top of the focal sits 4mm above the finger when worn. Condition: Excellent. 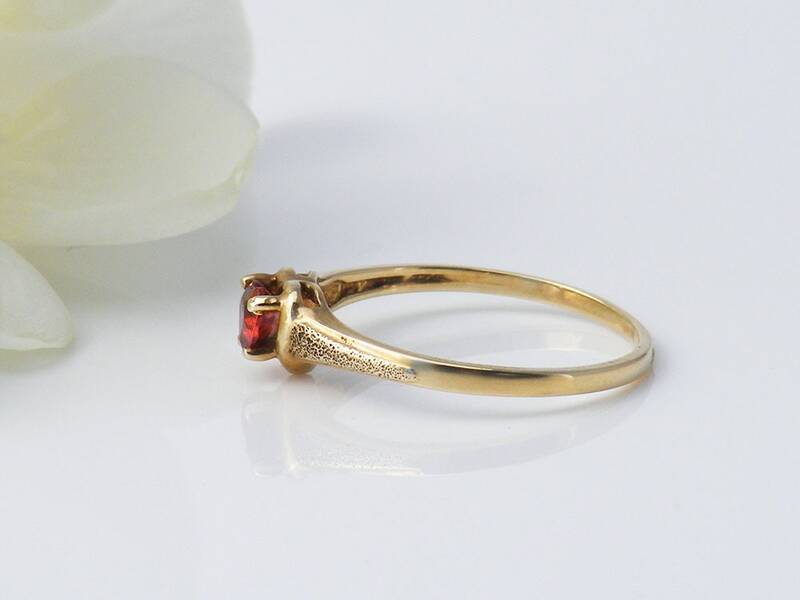 No chips or abrasion to the stone, the ring has been well looked after and though delicate in appearance, this is very strong ring. 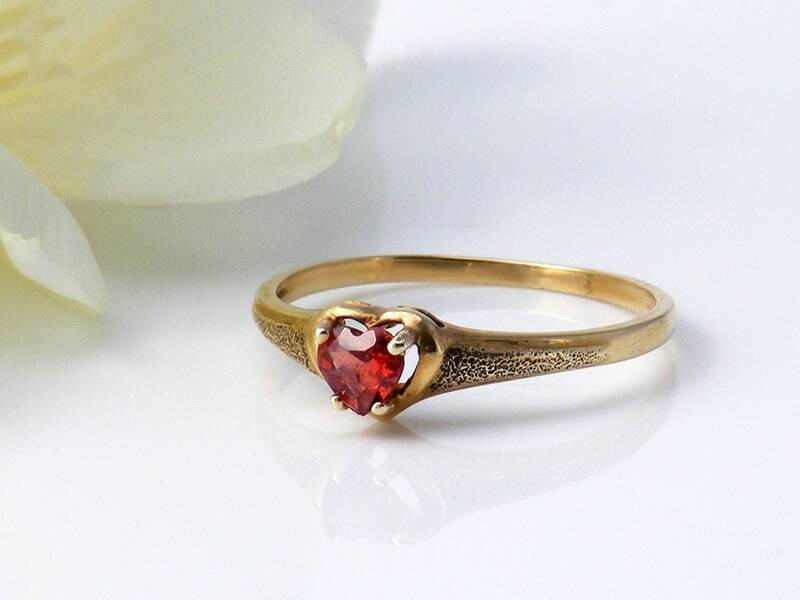 Just the perfect color garnet for a heart cut - brightly red and very alluring, lovely on the hand.